Weekly Meal Plan 11 from Flour On My Face is here for the second week of September. Today I am also sharing some tips on how meal planning can help you during the holiday season. 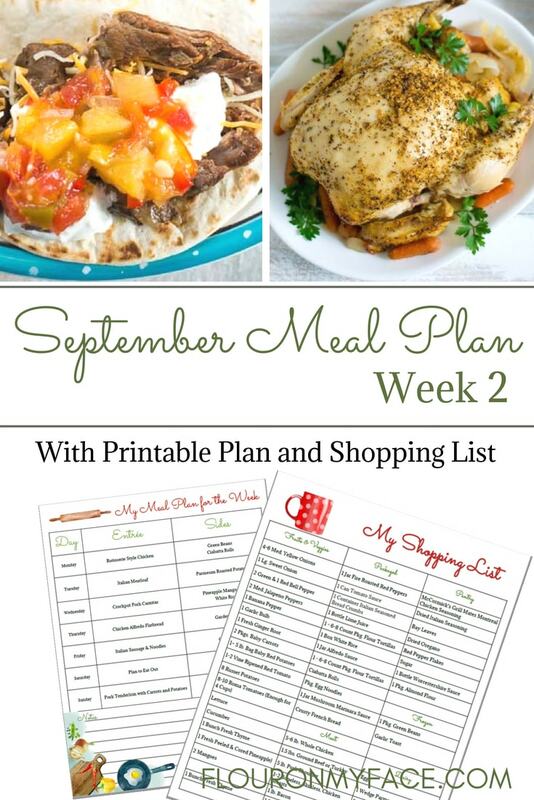 September is a great time to start meal planning. If you are extra busy during the upcoming holiday season having a meal plan in place will help you avoid those last minute take-out orders. I am sure last year there were probably a few nights where you ended up ordering a pizza or take out because you were too busy running around gift shopping or attending a holiday get together. You probably only realized after you got home that you had nothing planned for dinner. With a meal plan in place, you can still enjoy the busy holiday season packed full of activities and be able to serve the family a wholesome and delicious meal they will enjoy. 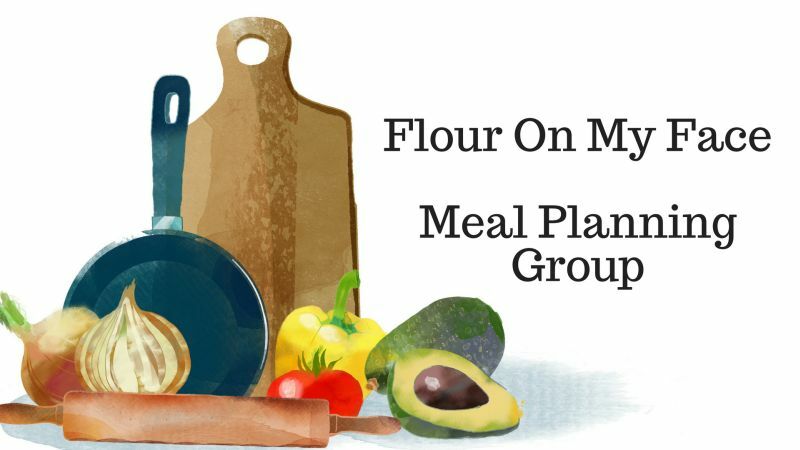 Following a meal plan like this weeks Weekly Meal Plan or a meal plan you already have in place with your families favorite meals is one way to make sure you have all the ingredients on hand for those busy night meals. Pick dinner recipes that are fast and easy to make for those busy holiday nights you know you will probably have an hour or less to prepare and cook dinner. You could plan a few crock pot recipes for dinner during those busy holiday nights when you are trying to plan a last minute dinner. Just fill the crock pot with all the ingredients and turn it on to cook while you are out shopping or celebrating the holiday season with friends and family. If you like to plan ahead you can start packing your freezer full of Freezer Meals that you will pull out of the freezer the night before you have holiday plans. Many of my Freezer Meal recipes are crock pot recipes that are perfect for busy holiday dinners. Monday – Rotisserie Style Chicken with carrots and onions is simple to make. Add some green beans & ciabatta roll for a complete meal the whole family will love. Tuesday – Italian Meatloaf topped with Mozzarella and Parmesan, from Cinnamon Spice & Everything Nice, doesn’t that just sound mouthwatering? Serve with Parmesan Roasted Potatoes from Kleinworth and Co.
Wednesday – My Crock Pot Pork Carnitas are tender and juicy. Serve on flour tortillas topped with Pineapple Mango Salsa for a flavor kick. Serve with some white rice on the side. Thursday – This Chicken Alfredo Flatbread, from Almost Supermom, is a gluten-free and healthier alternative to traditional pizza. Add a garden salad for a full meal. Friday – Italian Sausage & Noodles from The Gardening Cook is a great way to add a little spice to your Friday night. Have some garlic toast alongside to sop up the tomato and peppery goodness at the end. Sunday – My Roasted Pork Tenderloin with Carrots and Potatoes is another one-pot meal perfect for a Sunday. Add some crusty French bread.